The Q offers modern urban living at its finest. 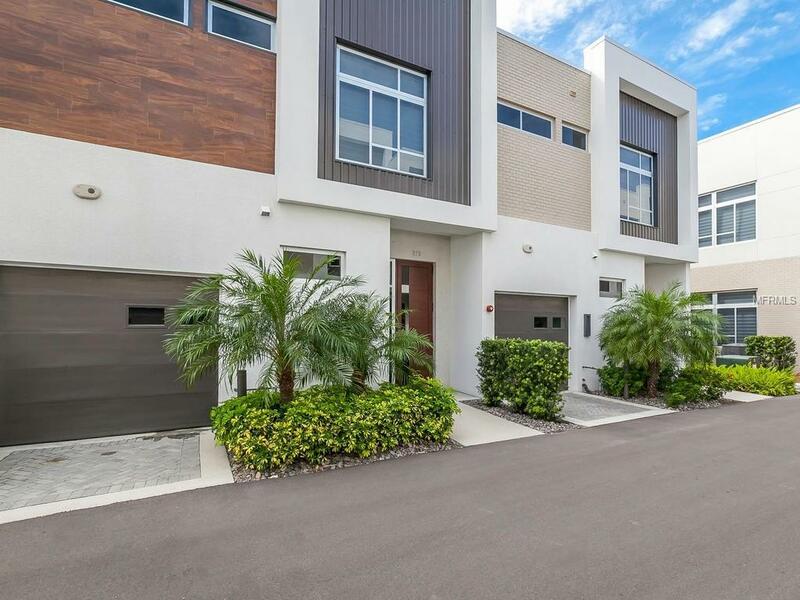 This Luxury appointed 2 bedroom 2 and bath townhome comes complete with all built out closets and expensive window treatments. Living level is on ground floor and is open, spacious, with lots of natural light. Beautiful porcelain tile flooring and Lube cabinetry with high end Bosch appliances. The master suite has a private balcony, large walk in closet and glamorous bath with 2 vanities, soaking tub and large separate shower. Also, upstairs is a loft area for home office space and guest room with private bath. This perfect second or full-time residence is very inviting in all soft tones and very neutral. Block construction, Hurricane windows and doors and tankless hot water heater. Enjoying living downtown in the heart of it all. Pet Restrictions Two Small Dogs Or One Pet Up To 100 Lbs.